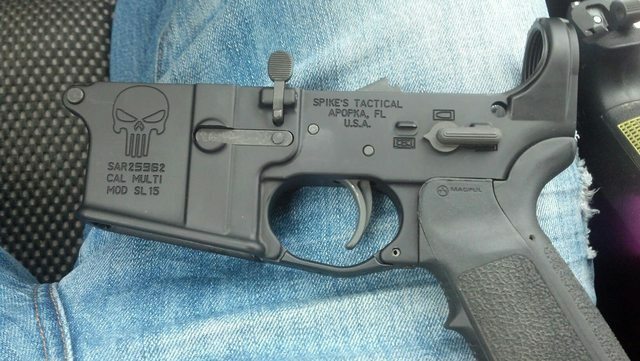 I can dig a quad rail, despite my main AR running a Troy Alpha. Some dudes don't have a need, they have a want. Acquired my new lower yesterday in a FTF meeting. And today I grabbed up a Spikes milspec tube kit for $40. Now I'm on the lookout for a good stock. At least the hard part is over. I would (and do) go with an ACOG. I use the TA-47 on my A2 upper. Yeah, it's not variable, but it's 2X and has great eye relief. If you can find a TA-01, I'd go with that. 4X is pretty wicked, and it has a set of "iron sights" on top. Works pretty well inside of 25m. 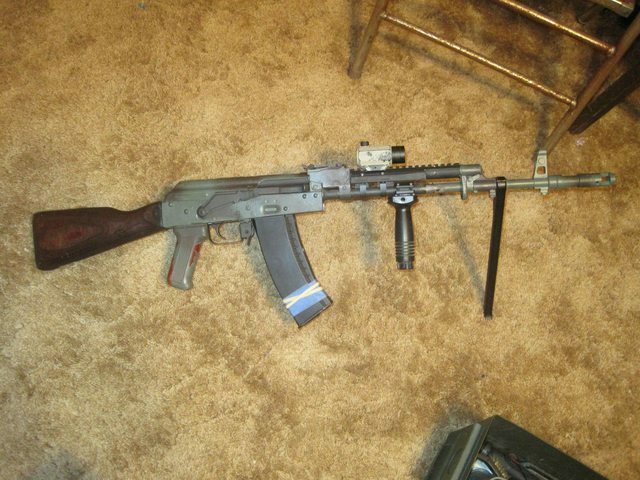 Man, I really dig that folding stock. If my Tantal could take one, I would go that route. Getting about $600 back for tax return, and I'm thinking of building an upper, piece by piece. My current upper is a fixed A2, and I'm looking at doing a flat-top. What tools will I need to assemble it? Topic: What's your "firearms philosophy" for your battery? Re: What's your "firearms philosophy" for your battery? I use Makos angled light mount for standard hand guards. I love it. One of the only Mako products I actually will recommend. Until I figure out what exactly is keeping my bolt from racking while using the Ultimak, my Tantal will stay in it's current state. I have a feeling it's the retaining plate, and if that's the case, it'll need a good grinding. Tantal is almost complete. 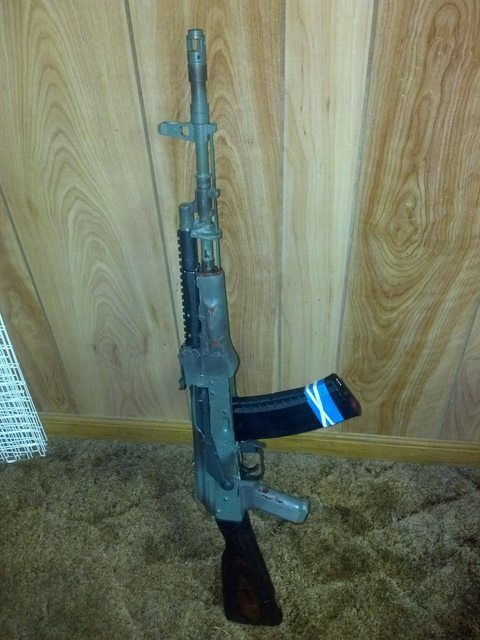 Last step is to file down the handguard retainer just a tad more. Considering removing the safety selector on the left side and putting a side rail on instead. I'd love to get a PK up on that sucker.